Greg’s Public Appearances – Tools for strategic and strong-minded thinkers! Greg Githens is a popular speaker. He is presently accepting invitations for 2019. How to Capture Customer Requirements and Develop Project Scope. The 2019 schedule includes New Orleans, Dublin, Orlando, Chicago and Nashville. 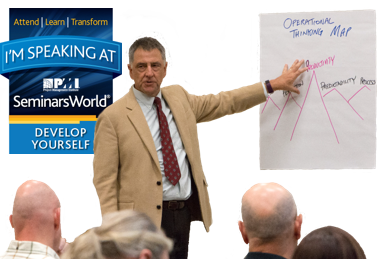 Greg facilitated a 2-day seminar on Strategic Thinking in Orlando on October 14-15. He facilitated a 1-day seminar in Cleveland on October 29.